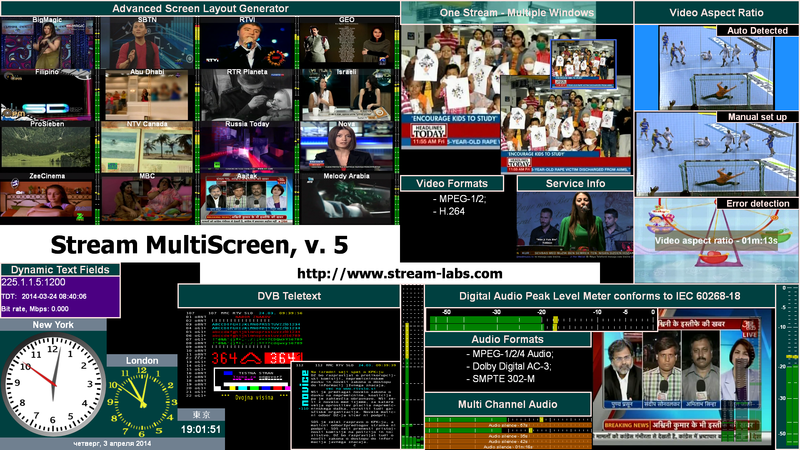 Stream MultiScreen system is intended for simultaneous visual and instrumental monitoring of multiple video and audio sources in real-time using one or several LCD-panels in poly-screen mode. 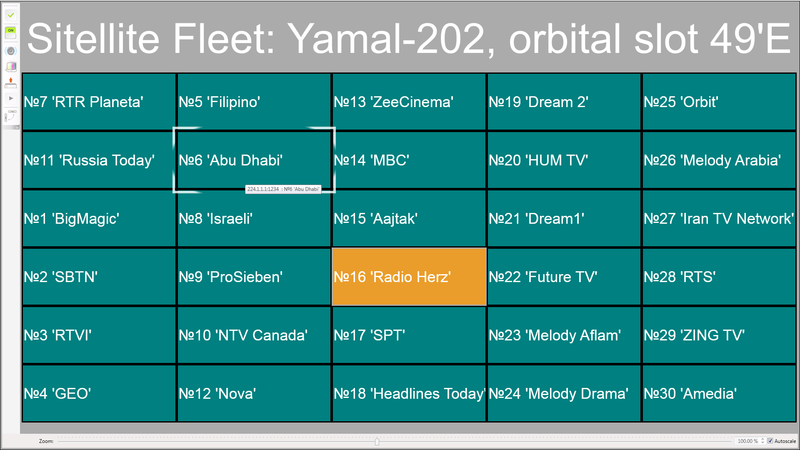 Having been based on successful combination of versatile features, which include multi-channel and multi-format abilities and high-level reliability, MultiScreen system has been implemented in the projects of largest Satellite and Cable Head-End operators, TV Channels and OTT operators. 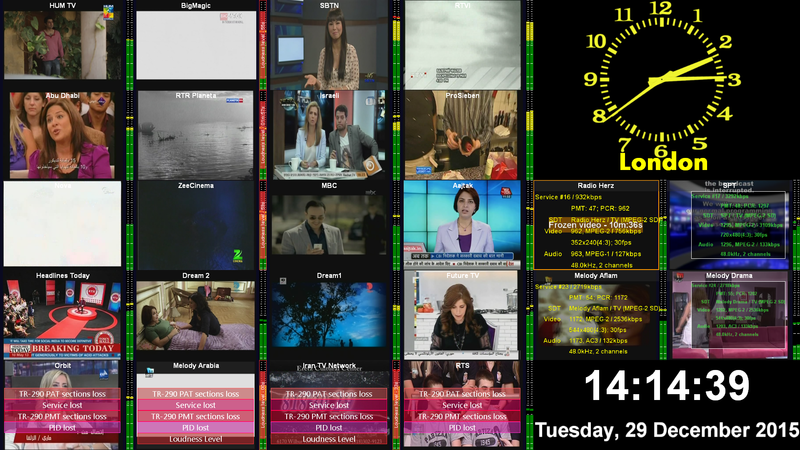 Stream MultiScreen server represents an effective media platform, which provides simultaneous visual and instrumental control of unlimited number of TV- and Radio- channels. 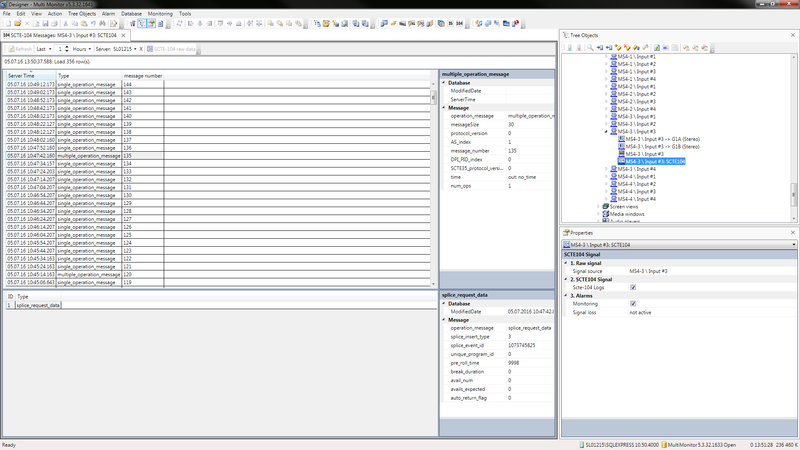 The number of physical inputs per 1 server depends on the installed input card. 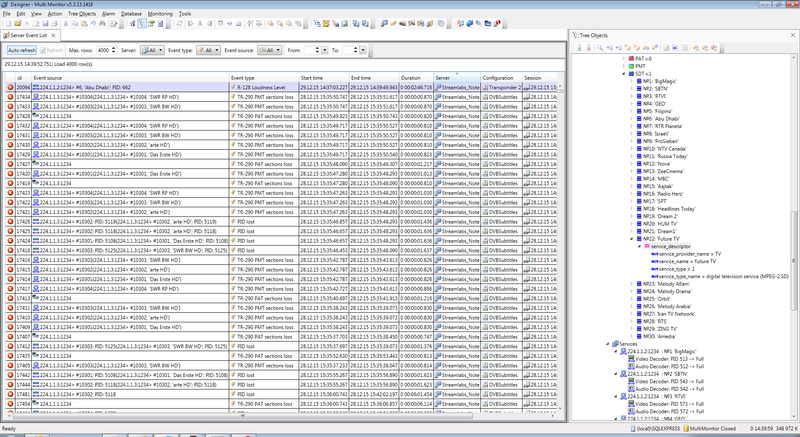 RTSP (RFC 1889, 2326, 3550). 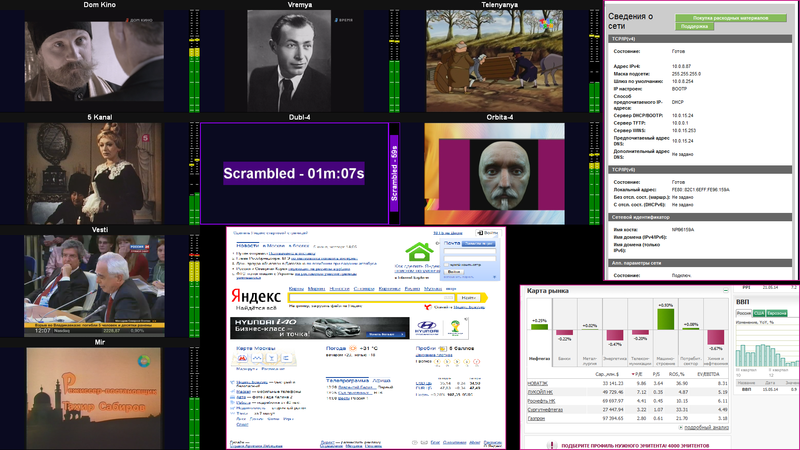 Video: up to 6 VGA, DVI-D, HDMI v.1.3, v1.4(Video+Audio), DisplayPort. Audio: 3,5” mini jack, stereo, unbalanced and balanced, S/PDIF, HDMI, Display Port. TSoIP. 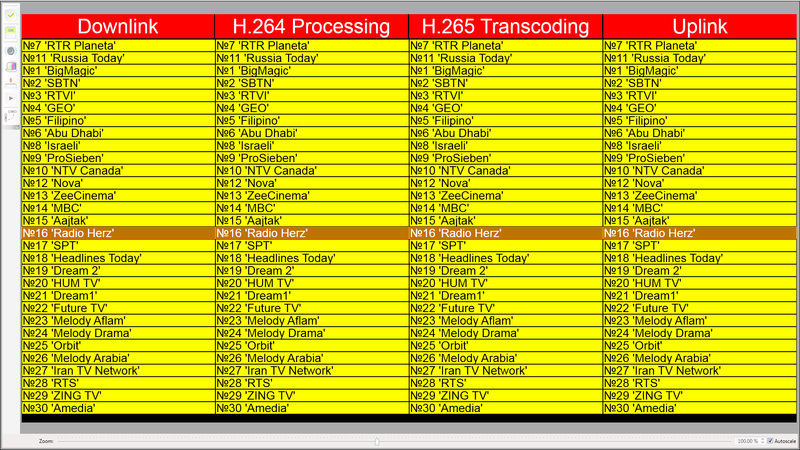 Encoding Mosaic to IP (Optional): MPEG-2 transport stream, H264/AVC, HD up to 1080. TSoIP. 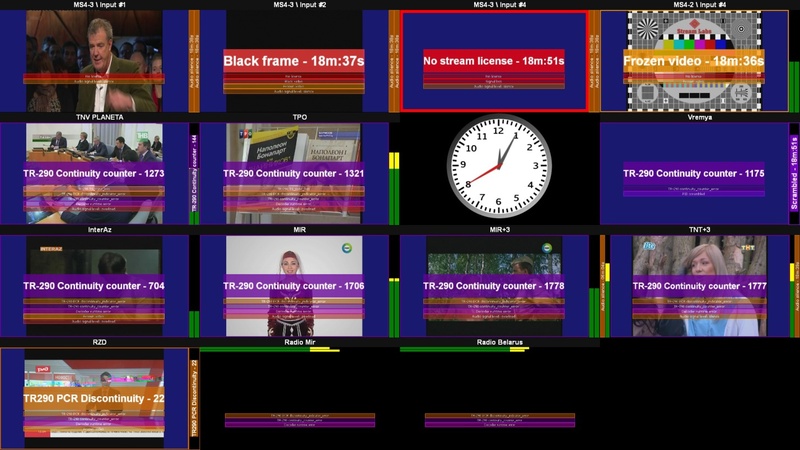 Encoding Video/Audio from input interfaces(SDI\Composite) to MPEG-2 transport stream, H264/AVC, HD up to 1080. 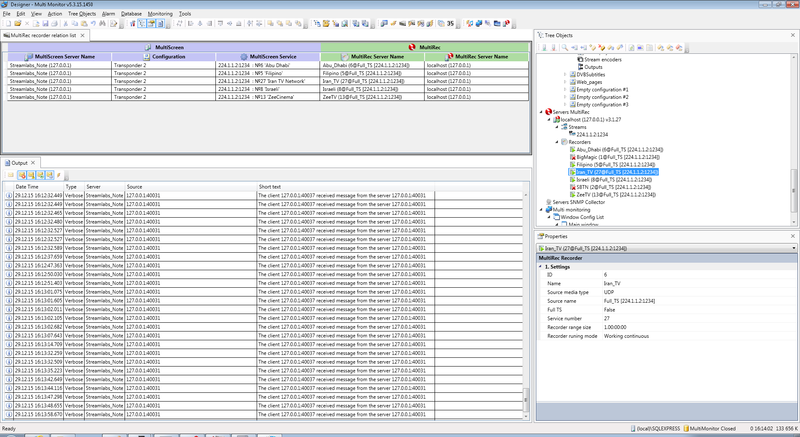 Integration of visualization with external devices in accordance with TSL UMD v.5.0 Protocol is implemented. 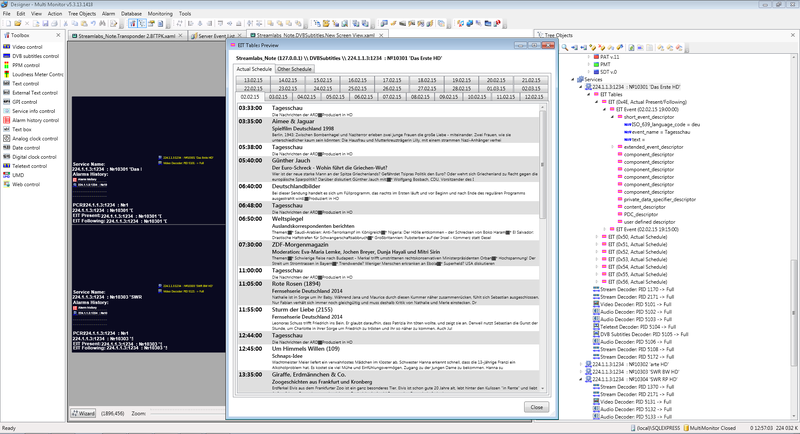 Visual object for UMD, which includes 2 indicators and text box, can be added to visualization mosaics. 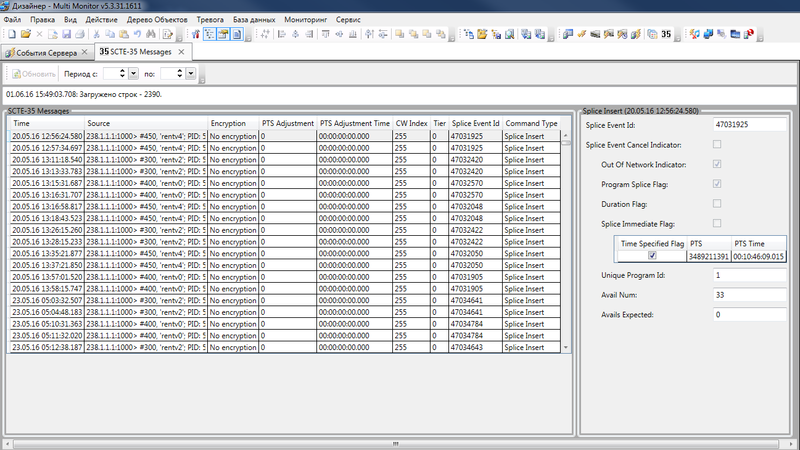 controller) in accordance with TSL UMD v.5.0 Protocol. 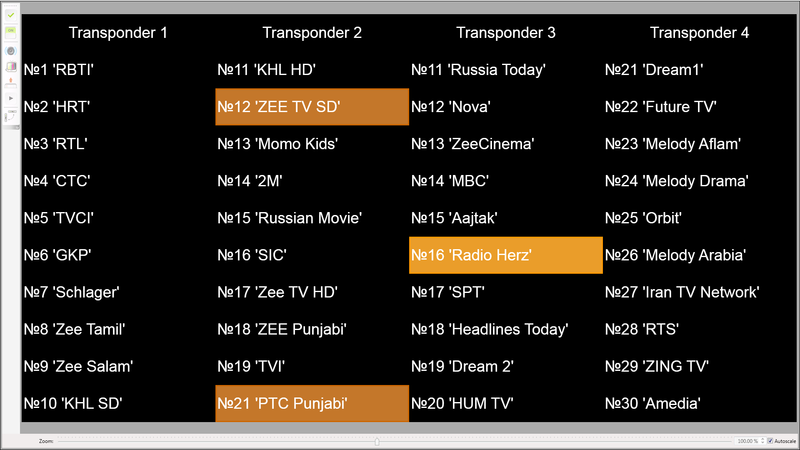 This basic diagram shows monitoring and recording of TV channels in compliance with regulations. 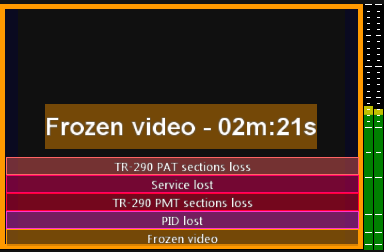 downloading video with errors from storage, providing visual and audio alerts to operator, emailing, etc. 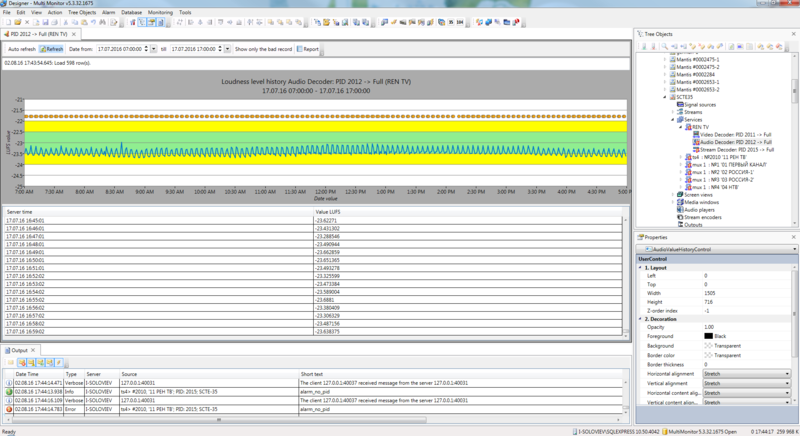 Loudness Measurement according the ITU-R BS.1770 standard end EBU R-128 recommendation. 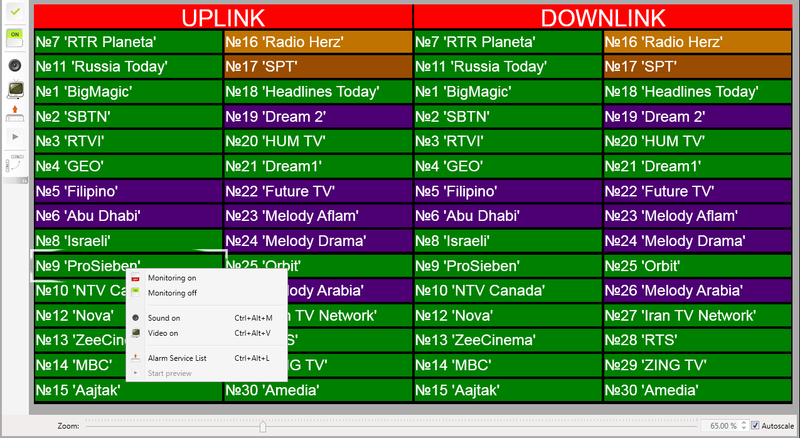 Allows to control any number of Audio PID's(decoders) in one service. 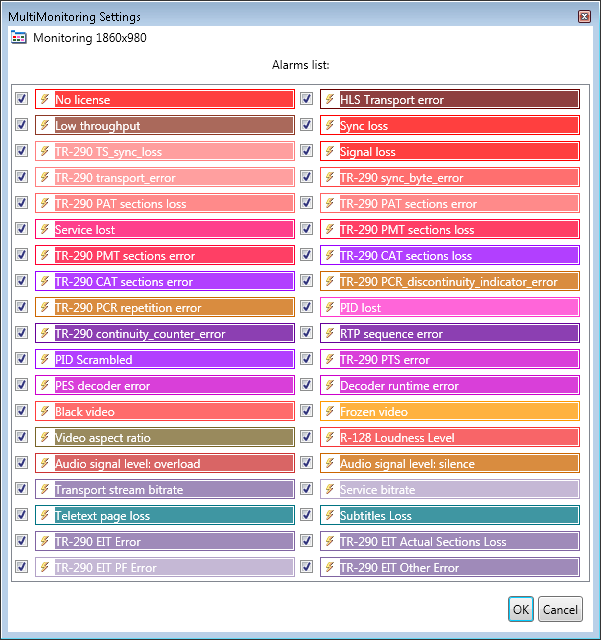 Examples of configured Operator's application MultiMonitor - Statuses of all channels from all servers can be displayed in one MultiMonitor application on Operator's PC. 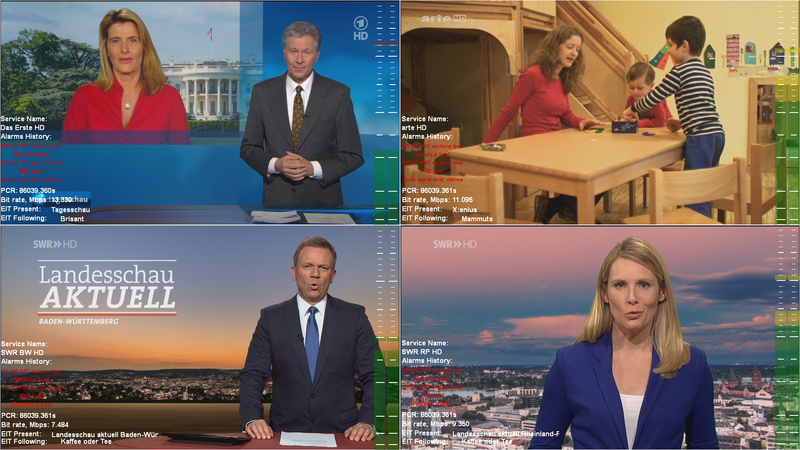 archive, matching to alerts, straight from MultiScreen application in one click. You may view them later on at your convenience.